Dave Martinez is an eighth-grade student at Lakeville Boarding School, the school for boys with unexplored potential. Dave greatest wish is to be normal. He does his best to control his kleptomaniac impulses and stay our of trouble in order to return home and go to a normal high school. Then a new kid comes to school. Tom Grant. 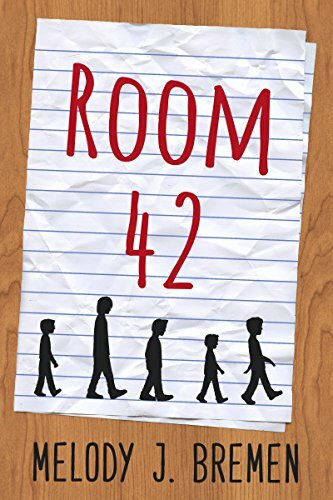 Tom is allocated to live with Dave in room 42, together with tall quiet Jed, adorable little Luke, and IQ the scientist. Tom has a motto: The path to success is paved with innovation, hard work, and bucking the norms. He practices his motto daily by pushing the boundaries and bending the rules. All the other boys are taken by Tom’s undeniable charisma, and pretty soon they are driving a bulldozer, sneaking out of school, causing a food fight and getting into a lot of troubles. The book is told in the first person view by Dave. It’s very well written. The narrative is strong, funny and it has many unexpected delightful twists. The characters are well defined, they truly come out of the paper. If you are going to purchase only one book this year, make it this one!